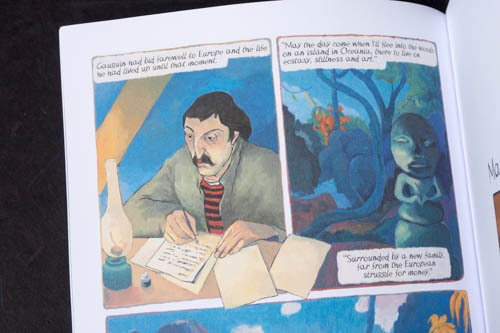 Gauguin: The other world by Fabrizio Dori is the latest graphic novel published by Selfmadehero -- under its Art Masters series. Previously, Vincent and Pablo were also reviewed. Here in Tahiti, Gauguin arrived, penniless and yet ambitious and found a new inspiration for his art. 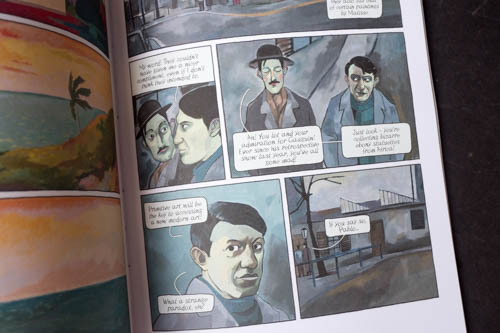 The graphic novel is broken into a few chapters -- each touching on a key milestone of Gauguin’s short life. 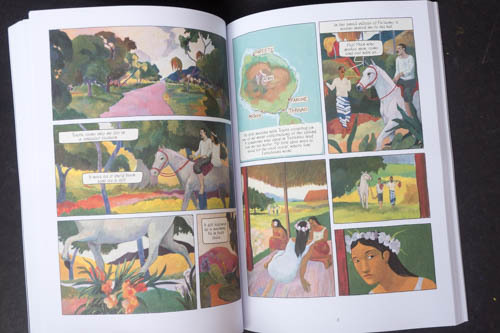 The narrative of the graphic novel used one of Gauguin’s famous work - Manao Tupapau (The Spirit of the Dead Keeps Watch) (1892) as a starting point to bring the story forward in the book. Gauguin, with his life ending, shares flashes of his memories with the spirit of Death, seen in the painting. There is his amazement at Tahiti’s landscape that resulted in the bold colors of his paintings, his relationship with the locals and his rejection by the established art community back in France. 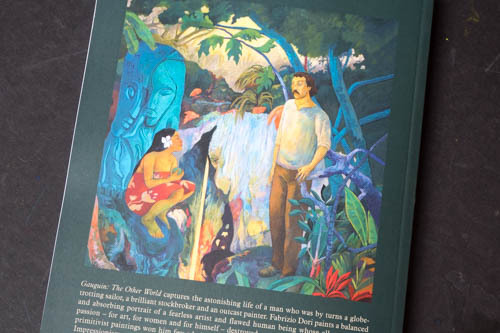 The book is illustrated in lush tropics colors -- reminiscent of Gauguin’s color palette in his paintings. 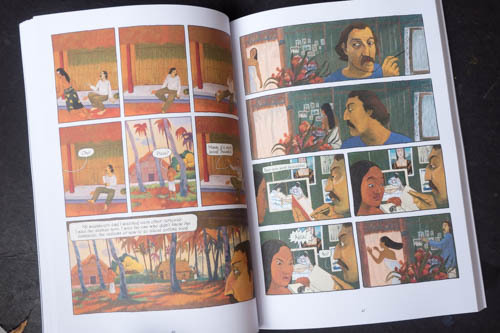 Each panel is painstakingly illustrated and served as Dori’s ode to Gauguin’s colors.